This hot Hyundai is willing to turn in, controls its corner exits well, fights off understeer and sometimes exhibits a bit of lift-off oversteer. Up till now, Hyundai seemed to be content making affordable cars for practical people. Well, that is about to change – fast. Since 2012, Hyundai has been acquiring the talents of some top German engineers and executives in its effort to surpass the Japanese and perhaps even the Europeans. Providing solid proof that the Korean automaker has stepped up its game is the Hyundai N programme, whose first product to hit the market is the Hyundai i30 N.
This new model is not merely a badging exercise, with just the engine turbo boost of the regular i30 hatchback turned up. Hyundai says that N stands for Namyang, where their R&D centre is located, but more befittingly, N also means Nurburgring, where Hyundai has a department for testing and developing their cars. I have come to the infamous Nurburgring to drive the Hyundai i30 N, a hot hatch which has been garnering accolades in Europe, where it has been on sale since the beginning of 2018. I am the first Singapore journo to sample the Hyundai i30 N before its local launch. 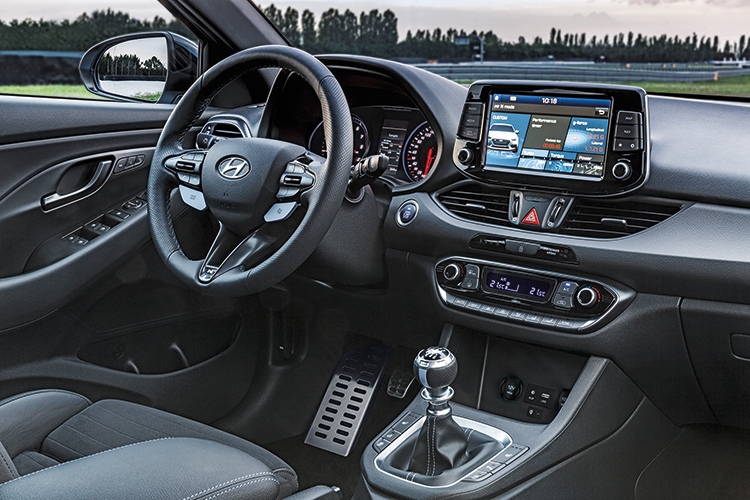 Hyundai i30 N interior is less interesting than the exterior and driving experience. 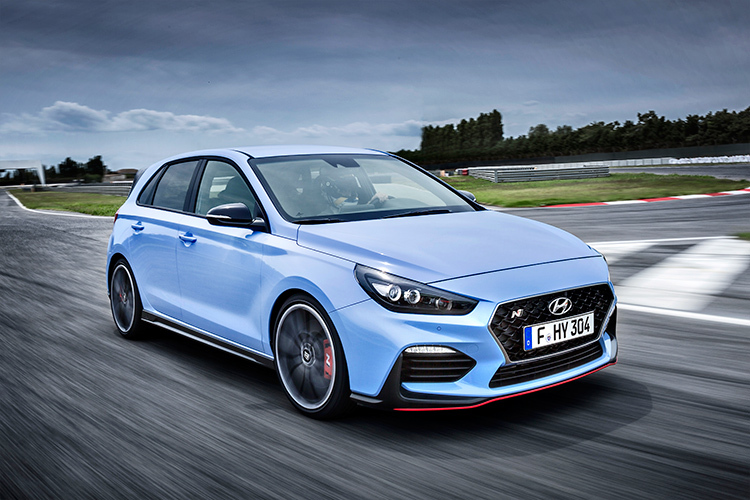 Of all its competitors, the closest in concept is the iconic Volkswagen Golf GTI, but the Hyundai seems to be more ready, out of the box, for a track day than the VW. 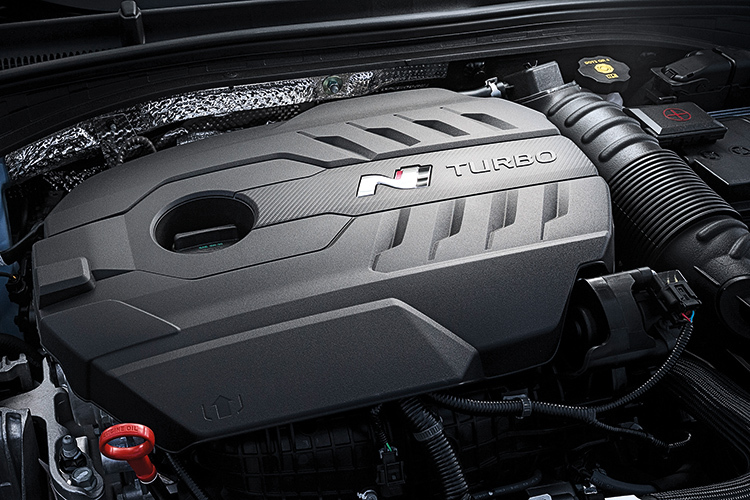 In standard form, the Hyundai i30 N has a 250hp 2-litre 4-pot turbo motor, which produces a more aggressive 275hp with the optional Performance Package. 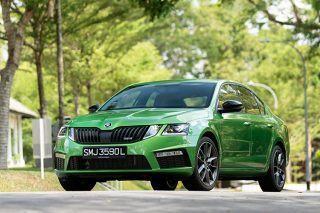 The additional aggression doesn’t stop there – said package also includes a genuine e-differential for true torque vectoring, 19-inch Pirelli P Zero Trofeo tyres to improve both grip and agility, a tuned exhaust system and fiercer-looking front and rear spoilers. Nurburgring is nicknamed The Green Hell for good reason. It is a demanding and challenging 20.8km stretch of country road in the forested Eifel mountain range that has been converted into a racetrack. The surface is uneven and has a 300m elevation change, 73 corners, and a long straight that will let really fast cars reach over 400km/h. Not only do you have to remember all the corners, you also need to remember all the bad bumps as well. Ironically, one of the reasons for enjoying the Hyundai i30 N on the Nurburgring is its power, or to be precise, just enough power. 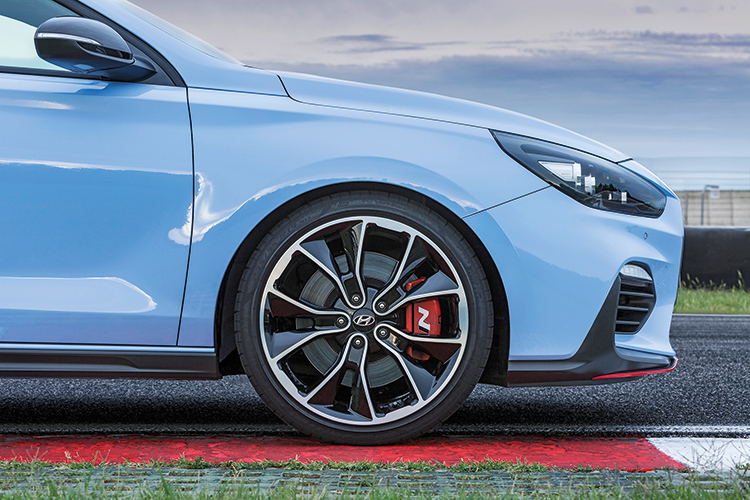 Performance Package for the Hyundai i30 N includes a grippier set of 19-inch Pirelli tyres with a model-specific compound, bigger brake discs and electronic LSD. Unlike a supercar with 600hp, which is more than enough to sling it to corners frighteningly quickly, a hatchback with 250 or 275hp could be wrung out completely by the driver without fear. 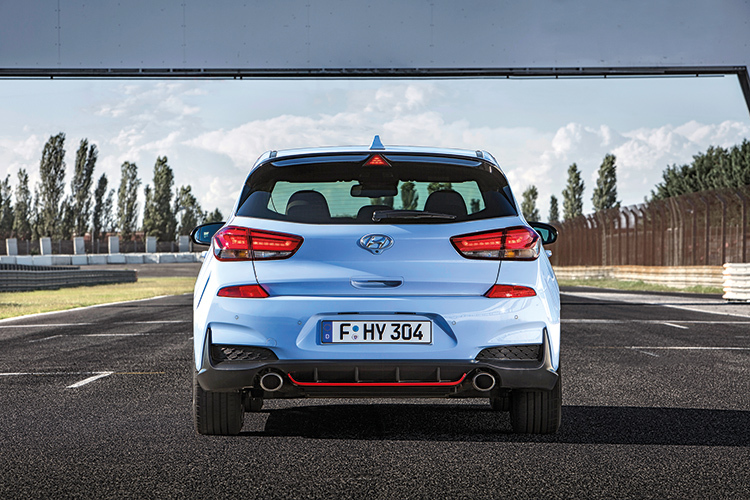 In the case of the Hyundai hot hatch, its chassis has good balance, along with enough suspension travel and uprated damping to soak up the worst compressions without hitting the bump stops, so that fast progress from point to point is also fluid and calm. 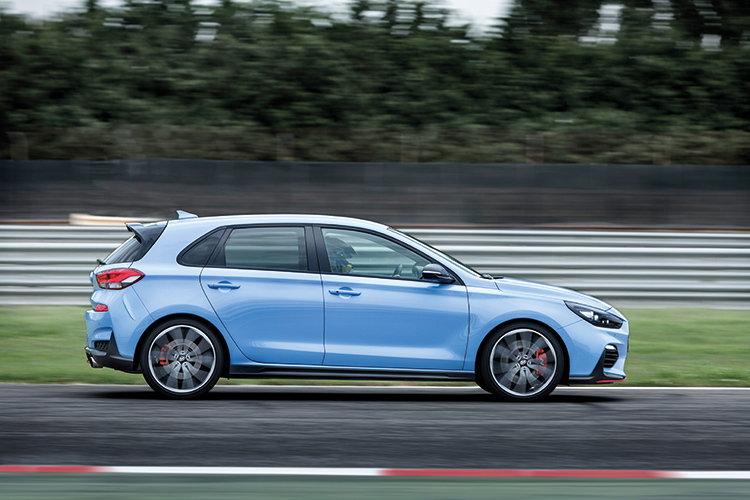 The Hyundai i30 N’s handling is benign, with a willingness to turn in, mild understeer in mid-turns, and well-controlled exits from corners even when gunning hard. The car does not mind being chucked into corners, always fighting off understeer rather well and occasionally exhibiting a bit of lift-off oversteer. 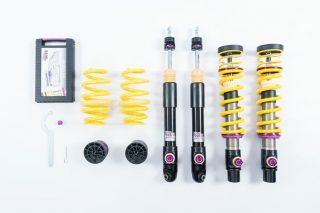 During manufacture, the five-door body has been specially strengthened with extra welds and reinforced with high-tensile steel underneath and around the front strut mounts. 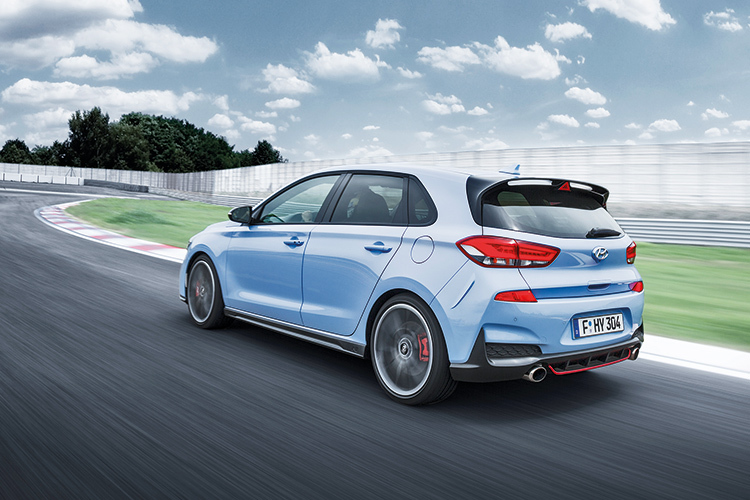 While piloting the Hyundai i30 N on a full lap of the Nurburgring is a petrolhead’s dream come true, driving it on the country lanes surrounding the ’Ring after the track session reveals a clearer picture of how the Hyundai will behave in the real world. It is not that the Nurburgring is irrelevant, but rather, a pocket rocket honed to handle and ride well on the Nurburgring will usually do exceedingly well on your favourite stretch of road anywhere else. At this point in time, only a manual 6-speed gearbox with rev-matching function is available. There is no rumour or mention of a dual-clutch transmission for the Hyundai i30 N as yet. The manual 6-speeder is pleasingly slick in its operation, with a short throw and a slightly notchy feel to it. The car comes with launch control, but in a manual vehicle, one variable makes a standing-start launch a hit-or-miss affair – the human being behind the wheel. 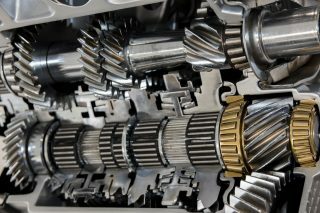 While there is traction control once the clutch is engaged and the engine revs per minute is maintained by the software at around 4000rpm, the rate of clutch engagement needs to be just right for the traction control not to cut power or brake too much. 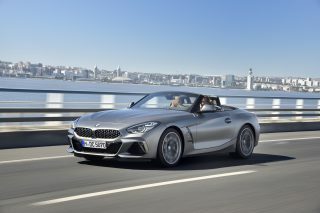 Get it right and zero-to-100km/h takes just 6.1 seconds (6.4 seconds without the Performance Package). Surprisingly, there is little torque-steer, thanks to the optimised geometry and software controlling the electrically assisted steering. 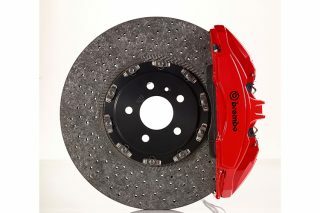 For the brakes, Hyundai did not go the Brembo route, but took a set from a large, heavy Hyundai like the Santa Fe SUV, modified them and added a pre-fill function to work in the 1.4-tonne i30 N. The rear discs are big at 300mm and the front discs are bigger still at 330mm (314mm and 345mm respectively if car is specified with the Performance Package). 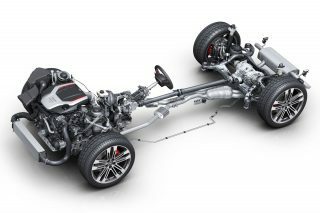 The adaptive suspension comes from Hyundai’s Genesis model range, but it has been carefully tuned for this application with sporty spring-and-damper settings. 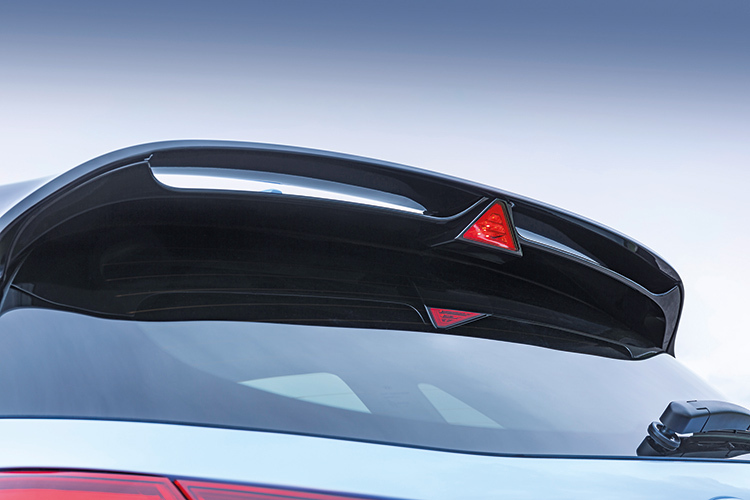 As you have noticed, most of the hardware is cherry-picked from Hyundai’s vast parts catalogue, with a small number of components redesigned for durability and robustness. The magic lies in how these different parts are packaged and finely tuned by the dream team, consisting of ex-AMG and ex-BMW M engineers, to create a performance car greater than the sum of its modest parts. And this is exactly how the i30 N feels on the road. The car’s Normal drive mode provides the best comfort, but nobody would buy one of these just to drive “Normally”. The Sport drive mode proves to be the best all-rounder, with a good compromise between comfort, control and outright handling. To get the car into the sportiest mode called N, press the checkered-flag button on the right side of the steering wheel boss, across from the left-side button that switches between the other drive modes. Hyundai i30 N is not merely a badging exercise with just the engine turbo boost of the i30 hatchback turned up. As long as the road is fairly smooth, you can enjoy the added sense of control and sharpened handling of the Hyundai i30 N in N mode. However, the ride becomes too stiff for bumpy country roads like the ones I drove on near the Nurburgring. Though Sport mode suits these roads better, only the N mode has the louder, more entertaining soundtrack. 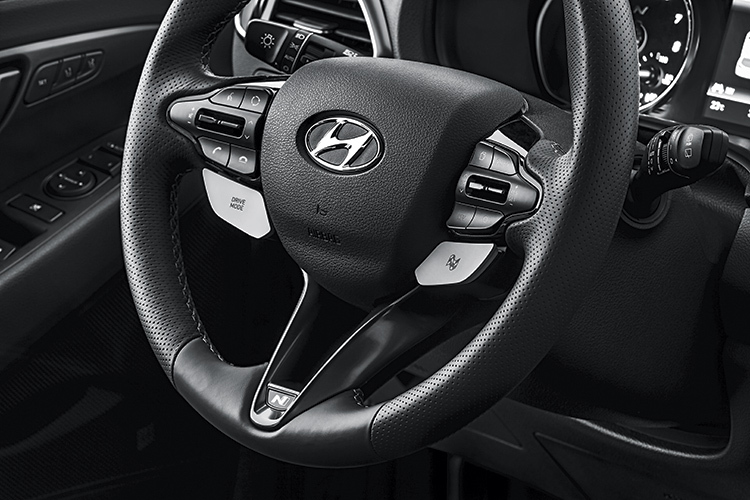 Thankfully, Hyundai provides a solution – press the N button a second time and the system goes into a custom setting which lets the driver choose how to set up the car exactly the way he wants it. 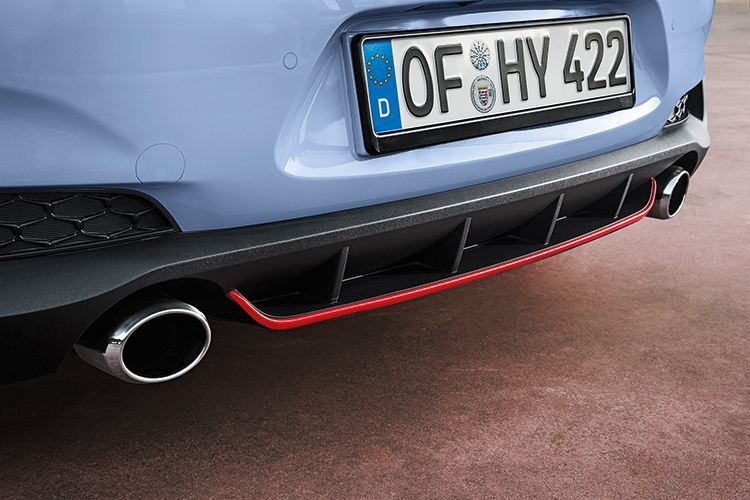 Fortunately, the standard Hyundai i30 N squeezes under the 160g CO2 mark by a single gram, which will park it in the neutral band (no rebate or surcharge applicable) of the VES. The Hyundai i30 N with Performance Package is more focussed than the Volkswagen Golf GTI. 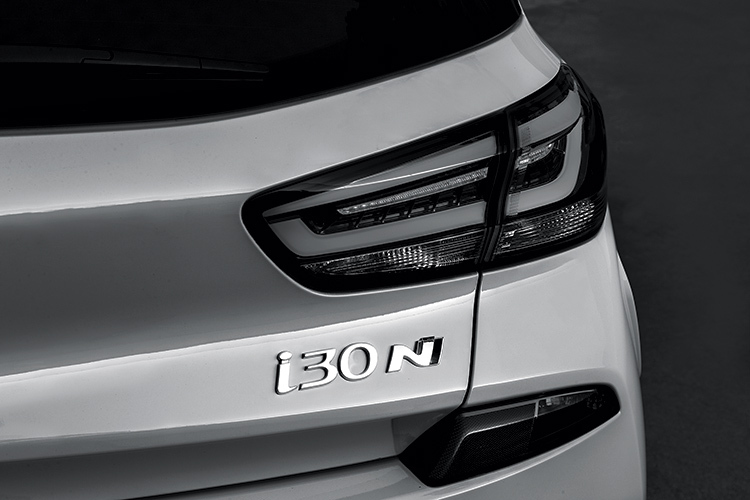 Unfortunately, the higher tune of the i30 N Performance Package will put it into the C1 band of VES and incur a penalty of $10,000. 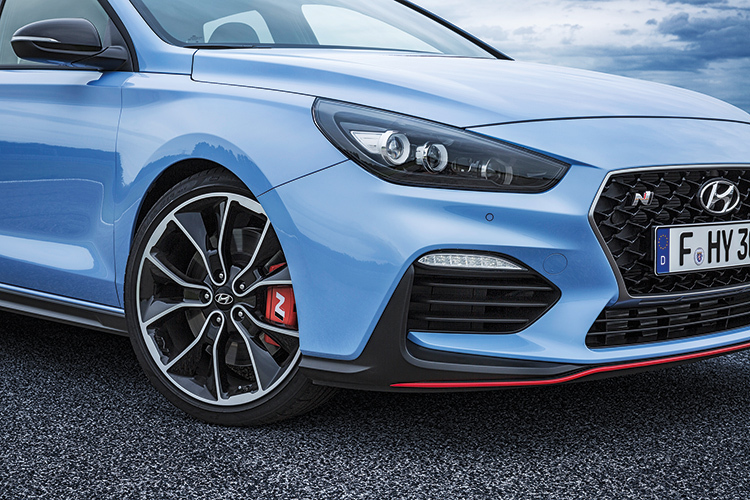 For that reason, the first batch of Hyundai i30 N hot hatches arriving in Singapore will be the standard 250hp version with 18-inch Michelin Super Sport tyres, but the agent is bringing in the look-faster parts as N Line accessories. The go-faster bits such as the engine power upgrade and the e-differential cannot be retrofitted, but Komoco is looking into how they can import the higher-power version. Waving a cheque to place a deposit on the i30 N Performance Package may convince them. Hyundai i30 N is a performance car greater than the sum of its parts, which are cherry-picked from Hyundai’s vast catalogue. Dyed-in-the-wool driving enthusiasts like myself didn’t get excited in the past whenever a Korean automaker introduced a so-called sporty model. But this introduction of the Hyundai i30 N was different. Instead of Korean executives, there was an entire contingent of German engineers at the Nurburgring event to explain the N performance philosophy and the newly minted N cars. They even asked us journos what we thought. Indeed, things are changing fast at Hyundai. In my opinion, the Hyundai i30 N with Performance Package is more focussed than the VW Golf GTI. I never thought I would ever say that of a Hyundai.